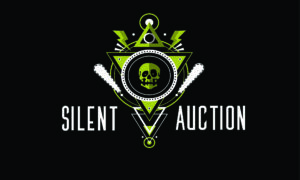 YEGPIN: 2019 Edmonton Pinball and Arcade Expo is holding a weekend long silent auction with many desirable pinball and arcade related items. As Die Hard Pinball League is a non-profit society all proceeds from the auction go directly to the support the event. These items will be placed on the show floor Friday and Saturday. Some items will be one day items and others will be two day items, some key items will be out until Sunday at 12pm, so you will want to make sure you attend all weekend to see what is available for bidding. All items will have a starting bid and bid increment, and a range of times when the bidding will close. All winning bids will need to be processed at the registration desk before you receive your item. You do not have to be at YEGPIN to win, our group will simply contact you via phone number, take payment at that time, and make arrangements for delivery of your prize. We thank all of our amazing sponsors for donating these items, it is truly appreciated. If you or your company would like to donate a silent auction item to the event please contact sponsors@yegpin.com.